Mary RANDALL, was called Polly. 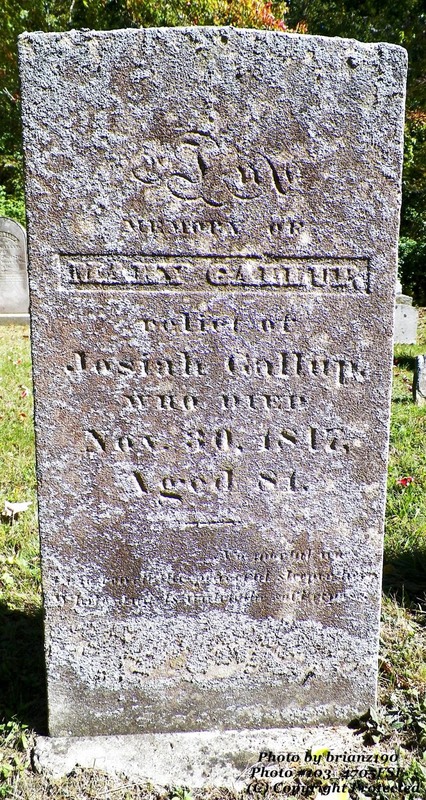 She was the second wife of Josiah GALLUP and is buried by his side. His first wife, Sarah FISH is buried on his other side. 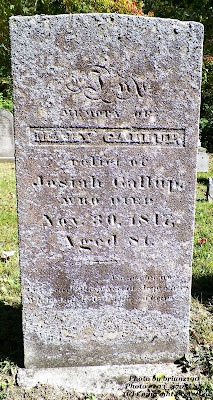 The Gallup (2009) Genealogy lists Polly on page 181 as having married Josiah on 11 Nov 1792 in Stonington, CT. They were married bt Rev. Hezekiah WOODRUFF. Josiah died in 1826 and so this gravestone correctly identifies her as his relict. This is the first gravestone in Row 4.